Five Stress-Free Steps to Discover Who You Are, Where You’re Going, and How to Get There. In Search of Truth explains a simple method to finding reliable solutions to your toughest problems. This is not a self-help book about motivation or positive thinking, it is a tried and true method to recognizing accurate information. Understanding truth is knowing how to overcome personal and professional limitations to get the results you need. 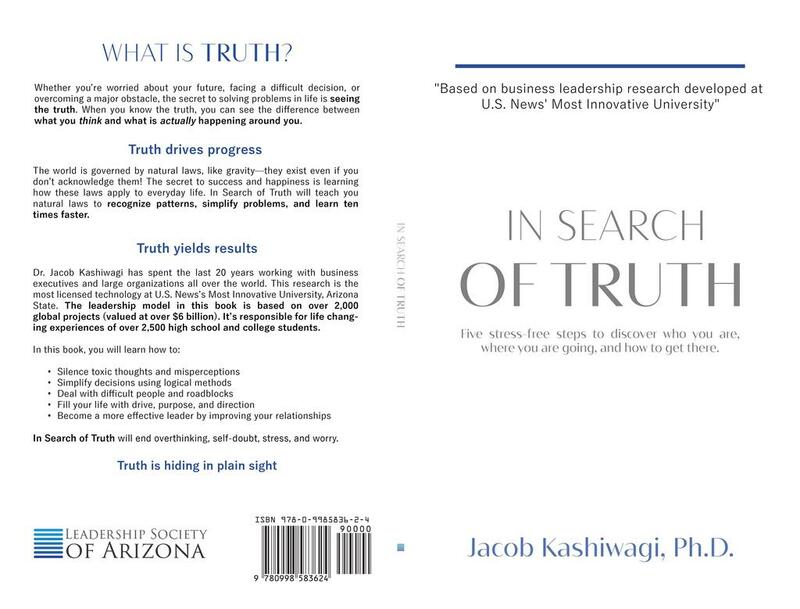 Dr. Jacob Kashiwagi has spent the last 20 years working with business executives and large organizations all over the world. The logic in this book is based on over 2,000 successful projects and 2,500 life-changing experiences of high school and college students. 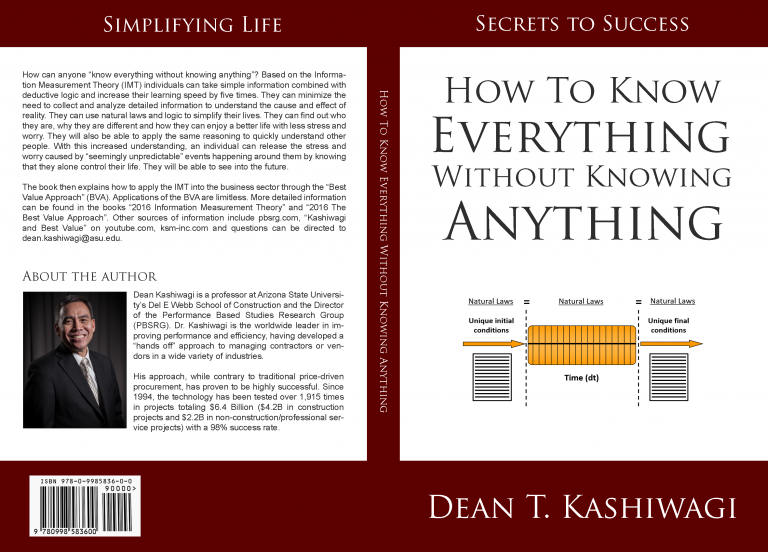 How can anyone know “everything without knowing anything”? Based on the Informa­tion Measurement Theory (IMT) individuals can take simple information combined with deductive logic and increase their learning speed by five times. They can minimize the need to collect and analyze detailed information to understand the cause and effect of reality. They can use natural laws and logic to simplify their lives. They can find out who they are, why they are different and how they can enjoy a better life with less stress and worry. They will also be able to apply the same reasoning to quickly understand other people. With this increased understanding, an individual can release the stress and worry caused by “seemingly unpredictable” events happening around them by knowing that they alone control their life. They will be able to see into the future.